This marks another milestone in the global adoption of Ubuntu, and is the first joint launch between Lenovo and Canonical in India – another OEM coming into the fold in a region where Ubuntu already possesses a strong foothold. The Thinkpad L450 laptop models are durable yet sleekly designed machines with stunning 14’’ HD displays. They offer powerful cutting edge processing with Intel Core i3 5005U and i5 52000U processors, in addition to 4GB RAM and 500GB hard drives. The Thinkpad L450 laptop series will come preloaded with Ubuntu 14.04 (the long term support version) which affords support and maintenance for five years from release date. In addition to long-term support, Ubuntu 14.04 comes with touch screen enhancements and works seamlessly on hiDPI monitors. 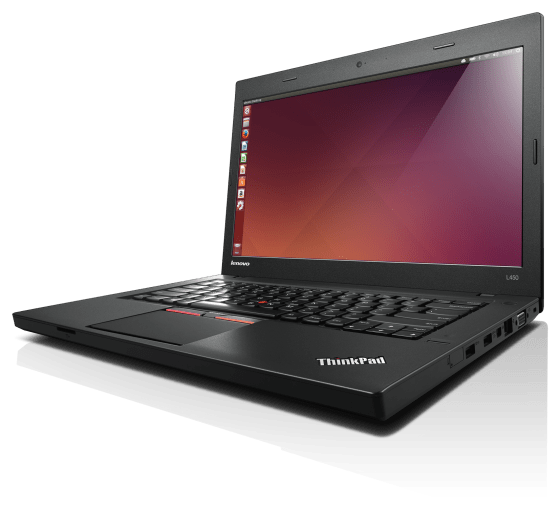 Lenovo Thinkpad 450 laptops with Ubuntu preloaded will be available from select distributors and resellers across the region starting early July. For more information on the device and its specifications, visit www.lenovo.com/in.